Established in the year 1997, we Micro Powder Tech, are amongst the noted manufacturers, suppliers and exporters of a precision engineered range of Powder Coating, Powder Coating Process, Powder Coating Technology, Powder Coating Plant, Powder Coating Machine, Powder Coating Production Machine, Powder Coating Equipment, Powder Coating Extruder, Twin Screw Extruder, Grinding Machine, Powder Coating Line. Our professionals are well-versed with all the latest developments of the industry that help them in designing and developing the machines at par with the on-going market demands. These machines find extensive applications in varied industries for developing powder coatings and paints. Our complete range is widely appreciated across the globe for their high-end features like low fuel & power consumption, efficiency, optimum performance and compact structure. #Lab model (min. 0.250 kg max. 10-15 kg/ hr). 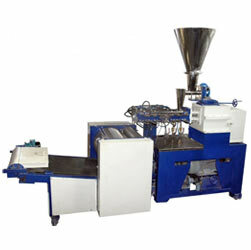 Manufacturing and Trading of Powder Coating Machines. We are one of the leading manufacturers, suppliers and exporters of a comprehensive range of Powder Coating Plant, Powder Coating Machine & Powder Coating Equipment. These are manufactured under the strict supervision of our experienced professionals, who make utilize of advanced production techniques. Further, the strict quality norms that are followed in the production process enable us in making the machines in accordance with the international quality standards. Our complete range finds extensive usage for developing powder coats and paints. To maintain international quality standards in our complete range of Industrial Powder Coating Machines, we have committed ourselves to follow stringent norms and procedures. We have a well-developed quality testing unit that is equipped with all the latest machines and tools, which help us in conducting various tests. The team of highly qualified quality controllers at our organization vigils the complete production processes right from the procurement of raw material till the final shipment of the consignments. All these measures ensure that only Flawless Machines are delivered to our clients. Backed by a team of qualified and experienced professionals, we are able to offer a precision engineered range of industrial Powder Coating Processing Equipment. Our professionals are committed to their respective domain of specialization and strive to meet the varied and bulk requirements of our valued clients. Well-versed with the latest industry developments, our professionals skillfully utilize their knowledge to achieve maximum client satisfaction. 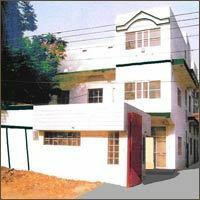 Owing to our immense industry experience, we have been able to establish a strong foothold in the industry. Our ability to meet the bulk and specific requirements of our clients, have made amongst the foremost choices in the domestic as well as in the international arena.